"Employing The Best Tools, Technology, And Talent in The Industry to Recover Your Mission-Critical Lost Data data." What is A RAID Server? Redundant Array of Independent Disks (RAID) is a virtual data storage technology which combines multiple hard drives into a single logical unit & works together to provide data redundancy with increased overall system performance. This technology has fault tolerance ability that encourages a system to perform all the functions, even when one or more hard drives have failed. 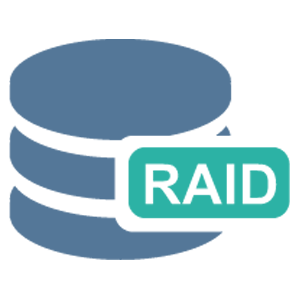 RAID provides a highly secured environment and protects data against the data loss and losses and reduces the chances of a disaster. 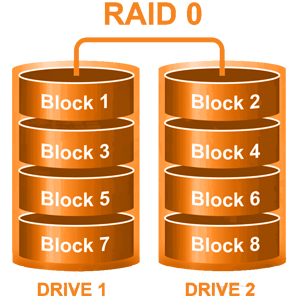 RAID systems use multiple ways to distribute data in the hard drives, which are called RAID levels. For example, RAID 0, RAID 1, RAID 2, RAID 3, RAID 4, RAID 5, and so on. This technology is used by a majority of small to medium sized businesses across the world as their storage solutions due to its highly fault-tolerant level and the cost effectiveness of acquisition and maintenance. Like every technology, RAID system can also fail due to multiple reasons, which might leave the data unusable. 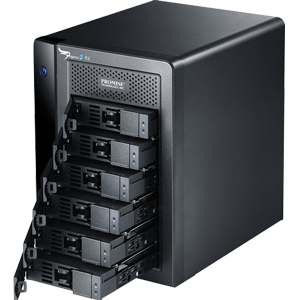 Although RAID recovery options also are available, however, due to RAID systems' complicated layout, it is mandatory that the data recovery source should understand the configuration level of RAID hardware, firmware, and software. Any wrong data recovery attempt may not only fail the system but also result in further data corruption. In any RAID server failure, never experiment on your own to get back your critical data. It may further damage your stored data. Let RAID Recovery experts from Roots data Recovery Data Recovery Services do the job for you, as one small mistake made from your end can lead to permanent data loss. ​​Our Roots Data Recovery is an experienced and passionate group of technicians. Every client we work with becomes a part of the team. Together we face the challenges and celebrate the victories. Copyright © 2017 Roots Data Recovery. All rights reserved. Our data recovery services are performed under the following terms and conditions. This is the complete agreement between you and Roots Data Recovery. You hereby engage Roots Data Recovery, and its suppliers when applicable, to use all commercially reasonable efforts to determine the existence and extent of recoverable data on your media and provide access to your recoverable data. Information contained in your data/media will be used by Roots Data Recovery only for the purpose of fulfilling this Engagement, and will otherwise be held in confidence by Roots Data Recovery. These confidentiality obligations shall not apply to any information which enters the public domain through no fault of Roots Data Recovery, which was known to Roots Data Recovery prior to receipt from you, which is disclosed to Roots Data Recovery by a third party (other than employees or agents of either party) which to Roots Data Recovery’s knowledge in making such information available to Roots Data Recovery is not in violation of any confidentiality obligation to you. You will be charged a quoted Data Recovery Fee and you agree to be responsible for all media, shipping and handling charges and all risk of loss during shipping. You agree to pay all charges quoted, plus applicable shipping charges, as well as taxes and similar charges when required. No services will be performed and no charges incurred unless you consent by agreeing to this Service Agreement. Additionally, in the event data is deemed unrecoverable, you agree to pay all shipping charges associated with the return of the unrecoverable media to you. In the event you decide not to have your media returned, or you fail to provide payment for return shipping, the media/data/equipment will be destroyed 90 days after any evaluations or recovery attempts have been completed. You acknowledge that the media/data/equipment you are making available to Roots Data Recovery is already damaged, that data recovery efforts can potentially result in further damage, and that Roots Data Recovery is not responsible for this or any other type of damage, including damage to or failures by equipment or media furnished by Roots Data Recovery. Roots data recovery will not be liable for any damages whatsoever, whether direct, indirect, incidental, consequential, special, punitive, or exemplary arising out of the services or deliverables provided hereunder, even if acs data has been advised of the possibility of such damages. You warrant and represent and warrant to Roots Data Recovery that you are in lawful possession of all data, media and/or equipment you make available to Roots Data Recovery, and that you have a lawful purpose to engage Roots Data Recovery for the Engagement. If you are requesting any Deletion services of any kind whatsoever, you hereby warrant and represent that such data is not involved in any current or anticipated legal proceeding, investigation or government inquiry. You agree to indemnify and hold Roots Data Recovery harmless from any and all claims, liabilities and damages of any kind related to this Service Agreement. You agree that Roots Data Recovery grants no warranties regarding its services of any kind, and all services are provided on an “as-is” basis. Any issues regarding recovered data (either data corruption or incomplete recoveries) must be addressed within 10 business days of the completed and shipped recovery. After 10 business days your recovered data will be qualified as acceptable, and it will be removed from our servers. Any additional recovery attempts will be subject to additional recovery charges. ACS Data Recovery will focus on the file types or specific file names specified within the form when you created your data recovery case. If no specifications are made then a generalized recovery of all available data will be made and this may or may not include data that may be deemed desirable by you. Should your data be deemed completely “Unrecoverable”; or you simply elect not to have your data recovered, return shipping charges and expedite fees (if applicable) will remain your responsibility. Unrecoverable - means that there is mechanical failure or severe data corruption in the media that precludes access to any data on the media by any means within Roots Data Recovery’s capability. This definition does not apply in cases where ‘desired’ data was not specified when your data recovery case was created.